Not one of my numerous hunts for a nappy bag have been fruitful. I just don’t get why they need to be so big. All I want is something funky and small that has a million compartments for all the little bits and bobs. Too bad I never stumbled over this Lillybit Uptown Diaper Clutch. It looks like a normal handbag until it’s folded out, then it shows its genius design. A stretchy mesh pocket, non slip rubber rings for creams and an easy-to-access main compartment. 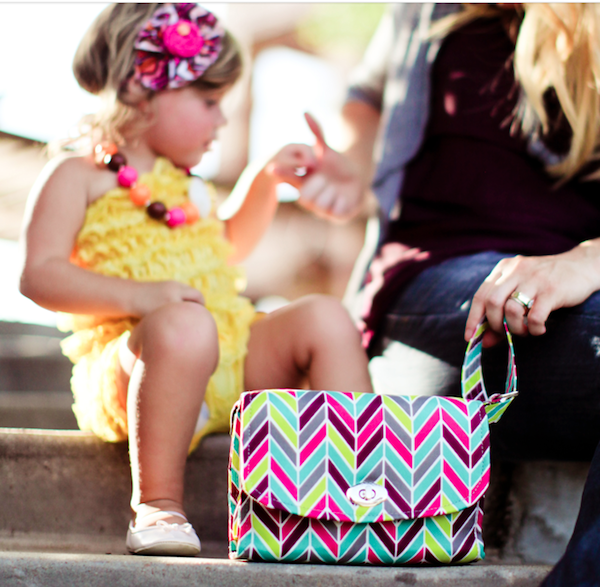 It comes in four different designs, from basic black to bright and funky, with not a babyish pattern in sight. The strap converts so you can wear it over-the-shoulder or as a a handbag, wristlet or clutch. The best thing about this design is that you can easily get things out of it, mid shopping/toddler wrangling/pram pushing. And when bub outgrows the bag, it can be used as a lunch bag or toiletries case. You can pick one of these up from Boutique Brands for $49.95.